BROOKSIDE DENTAL in Bellevue, Washington, along with other dentistry websites is listed on dozens of web review sites. How valuable these various review listings are is very difficult to comprehend. It seems that each day new local search sites appear on the web. Sometimes I get emails that are requesting to have advertising of our cosmetic dentistry practice on a local or national website. Other times I just find sites that have our listing and I need to go in and claim it. The obvious places that one sees their site listed in is Google Local, Yahoo Local or Bing Local. These have been outlined very well in a book by my friends Richard Geasey and Shannon Evans that is titled, “GET FOUND NOW! LOCAL SEARCH SECRETS EXPOSED.” In their book, they describe how to achieve high rankings for your website and business in Google, Yahoo and Bing. They also discuss several other smaller local search sites and how to maximize your dentistry listings on them all. There are several keys to obtaining a high ranking, but it appears the most important one may be having patient reviews on these various sites. There are at least three major sites that receive extensive numbers of reviews regarding individual businesses such as Brookside Dental. These are Seattle Citysearch, Insider pages, and Yelp. The listings in these sites will assist the SEO of your dental web site because they yield back-links to Bing. Also, it is important that these sites can lead new patients to our Bellevue Cosmetic Dentistry practice when potential patients read the excellent reviews we have on these sites. Although many of these sites are set up to receive reviews directly, such as Judy’s Book, Kudzu, Localsearch and PNWmarketplace, many of them appear to “scrape” additional reviews from other sites. Examples of sites that appear to scrape reviews to add to their own sites are Mojopages and linktown.king5. 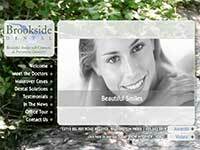 These last two sites rank the dentists by the total number of patient testimonials that they have—Brookside Dental ranks near the top on both of these sites when searching for a Bellevue Dentist. Angie’s List and Dr Oogle are paid listings and are difficult for the general public to access. I have seen our rankings on Angie’s List and they are all superb. Additionally, most of the phone sites have places for patients to leave testimonials, such as Superpages, Dex, and Yellowpages. Since we are discontinuing all of our phone advertising and the phone company will not post the reviews on our free listing, I will be posting the reviews here on our website after I copy them from the various phone websites. The following is a group of 5-Star reviews that I copied from Dexknows. When I go to Brookside Dental every person and interaction is handled with class and professionalism. This is the day spa of dental offices. They have the best staff, who also knows how to run an incredible dental business. Brookside Dental has overhauled my smile after many years of poor care in a foreign country. Today was my “mercury-free” day! The entire staff here is great and the treatment is always pain free. I always recommend Brookside Dental to my friends. *****I’m really pleased with all aspects of my dental care at Brookside Dental. Everything is positive. *****Thank you for such caring and thorough work. Everyone (doctors, hygienists, assistants, receptionists) is so friendly. They are always on time for my appointments–I have never had to wait and I always get out on time. I am very happy here. *****Dr Pat is the best. This thank you to Brookside Dental is long overdue for the beautiful smile they provided for me. I wanted to put a lot of thought into this, but I’m not sure where to begin. Thank you so much for all that was done for me at Brookside Dental. I’ve really never felt so blessed and I will always be grateful to Dr Pat and her assistants for the beautiful crowns and my overall fantastic smile. The Dr Pat had my new smile ready in time for my wedding which was amazing and it made my wedding that much more beautiful, I truly mean that. I will always have fond memories of my visits to Dr Pat and Brookside Dental. Thanks to Dr Cindy and everyone at Brookside Dental for their great service. It’s the best tooth work that I have ever had. Now I am actually able to smile again. The doctors and staff have a great attitude and do really good dental work. I always enjoy my visits with Dr Cindy, because she is a really interesting person as well as a good dentist. *****Dr Cindy, Thank you, Thank you, thank you for my beautiful smile. I really appreciate all the +extra+ things that you have done for me. I couldn+t be more happy than I am with my new smile. You and your assistants have made all of my visits a real joy. The artistry of your work is amazing! You are the BEST!! Dr Pat is excellent and has done several tooth colored fillings and some crowns for me that are very beautiful. Her work is absolutely painless. Dr Cindy made a special night guard for me because my jaws were sore when I would wake up in the morning–the night guard fixed the problem. The whole staff is Friendly and makes me feel very relaxed. I feel like I am a friend rather than a patient. I have recommended Brookside Dental to several of my friends who go to Dr Pat and Dr Cindy. *****Dr Pat and her staff do a great job. I needed to restraighten my teeth (they moved again even after braces as a kid). She used a Hawley retainer system and my teeth were beautiful again after only 9 months! And no braces! The staff makes you feel special each time you enter their office! Thanks Dr Pat!